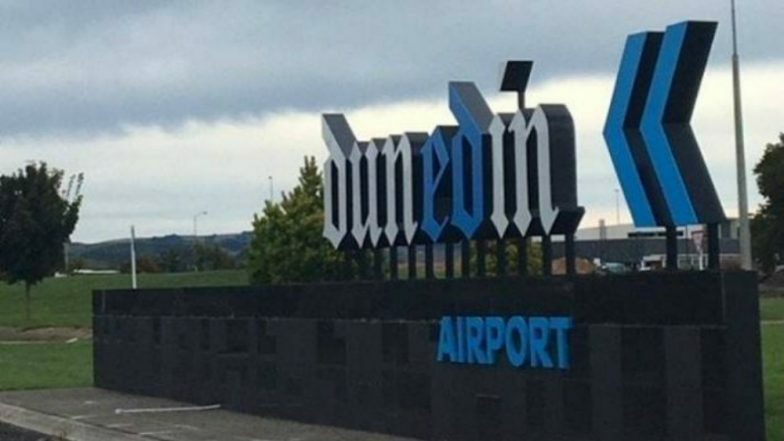 Christchurch, March 18: New Zealand police launched an investigation Monday into a bomb hoax that forced an hours-long closure of the airport in Dunedin, where the accused Christchurch mosque killer lived. Police said a person climbed over a fence around the airfield Sunday afternoon and left a black laptop bag and a note in an area used by people to watch aircraft take off and land. New Zealand Terror Attack Video: Court Refuses Bail to Teen Who Shared Christchurch Mosque Massacre Live Streaming on Facebook. When the package and note were found, roads to the airport were closed and an Air New Zealand flight from Wellington was forced to circle over the city for almost an hour before returning to its origin. A New Zealand Defence Force ordinance team was brought in to neutralise the object, but the airfield didn't reopen until Monday morning. The incident came just 48 hours after Dunedin resident Brenton Tarrant, an avowed white supremacist, is alleged to have killed 50 people during a shooting rampage at two mosques in Christchurch, north of Dunedin. Police called on people who were around the airport on Sunday afternoon and saw any suspicious behaviour to come forward. "The insensitive nature of this act in light of recent events cannot be overstated," they said in a statement. "A large number of people were disrupted and distressed as a consequence."